Career opportunities within the world of commercial banking are numerous, and there are plenty of options when trying to find a career in commercial banking. An extensive banking career job search will help to give a view of the many different career options available in this challenging job sector. On the whole, commercial banking is the normal high street banking environment. 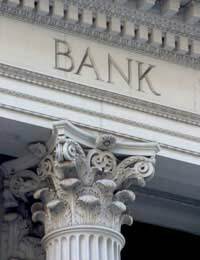 It is named commercial banking in order to distinguish this sector from the investment banking sector. However, the two sectors can now be consolidated and no longer have to remain separate entities. Commercial banks deal with companies and the general public, and as such, there are many diverse career options within the retail banking sector. These are basic skill requirements and each job will usually have extra requirements in addition to these. A job search will allow you to view all of the required skills and qualifications for each particular job. If you have decided that a career within the commercial banking world is definitely for you then planning your job search options is important. There are many different ways to search for careers in commercial banking and using them all will bring up a wide range of job options. Taking as much professional advice as you can from careers advisors will also be beneficial. They will be able to give advice on the careers in this sector that will best suit your skills and qualifications. If you have no actual qualifications or work experience then entry level banking jobs will help you gain a foot in the door. Entry level jobs will include tellers, administrators, financial clerks and trainee sales. Once in the door you will usually have to go through some form of in house training but career progression can be rapid for those who are willing to succeed and have an aptitude for finances. Entry level banking jobs are usually advertised in newspapers and financial magazines, but can also be available through recruitment agencies and applying to banks directly. Recruitment agencies are a great way of gaining entry level banking jobs, and banks often use recruitment agencies for their temporary staffing requirements. They will have a range of contacts in the commercial banking world and can conduct a wide job search. Temping is a great way to gain experience and see if the banking environment is actually right for you. You can say exactly how long you want the job to last or you can say that you are interested in permanent vacancies only. You may be required to sit a basic skills test and interviews are usually required for permanent positions. Banks are always looking for financially minded people with good qualifications. There are accelerated trainee banking programmes especially for graduates. Graduates can contact banks directly for career information or gain valuable information at graduate fairs. These accelerated programmes are designed as the quickest route to becoming fully trained in variety of different banking jobs including managerial positions. One of the best ways to gain information towards your job search will be speaking to employees who actually work in the banking world. Financial job fairs will have a number of representatives from the banking world that can give vital information on this job sector. They can advise on the different jobs available and the skills and qualifications needed for the various banking jobs. Knowing this information will also help at interviews when potential employers ask why you would like a career in banking. Don’t forget to use the Internet as a tool during job searches. You can search for banking jobs using recruitment agencies and employment websites. Also browse banking websites directly as these will advertise jobs for both entry level and graduate positions. Keep your options open regarding the different types of banking jobs. Once you have your foot in the door there will be more career options available thanks to employee training and in house job advertising. If you have the right skills, qualifications and work experience then finding an entry into a commercial banking career should be possible. Always take advice from career advisors and those already in the industry. Using all of the above methods will give you a greater diversity of job options within the banking world. @no - as specified in the article if you have no actual qualifications or work experience then you can get a job upwards from entry level banking jobs will help you gain a foot in the door. However, it depends which area of banking you wish to be employed in. But theoretically the answer to your question is yes, you can get a job in a bank with the qualifications you have.